One of the most dedicated connaisseurs of Renault trucks, especially the AHN is Jacques Mortier. 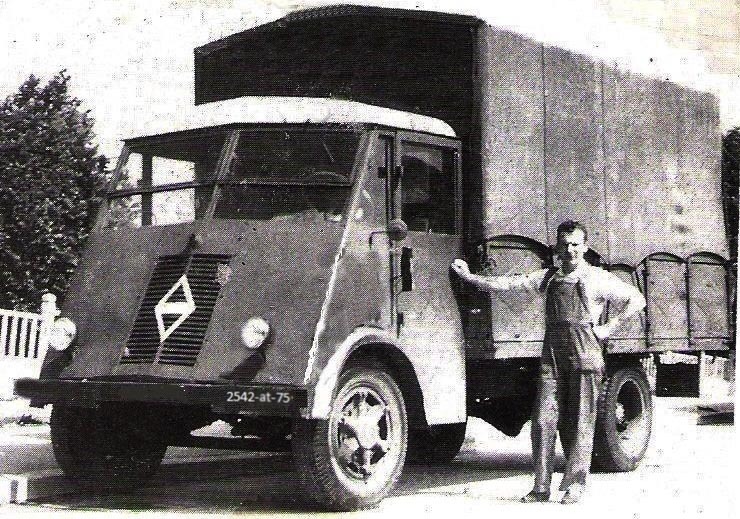 His inspiration: From 1945 my father was a carrier and in 1946 he acquired a Renault ahn 3 with which he drove til 1961. 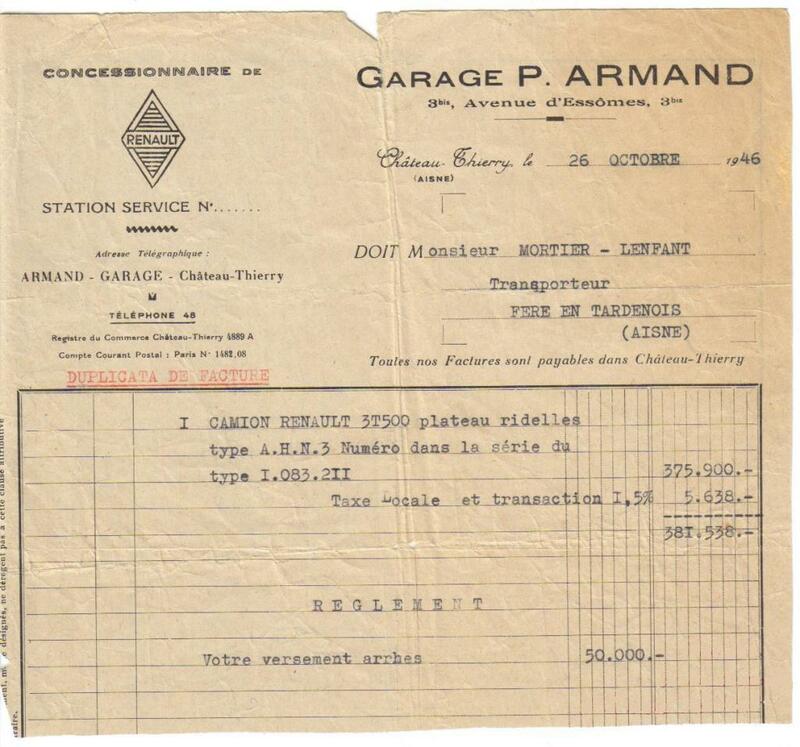 This truck was bought on October 26, 1946 and bore the serial number 1083211. It Costed 381538 francs in those days!